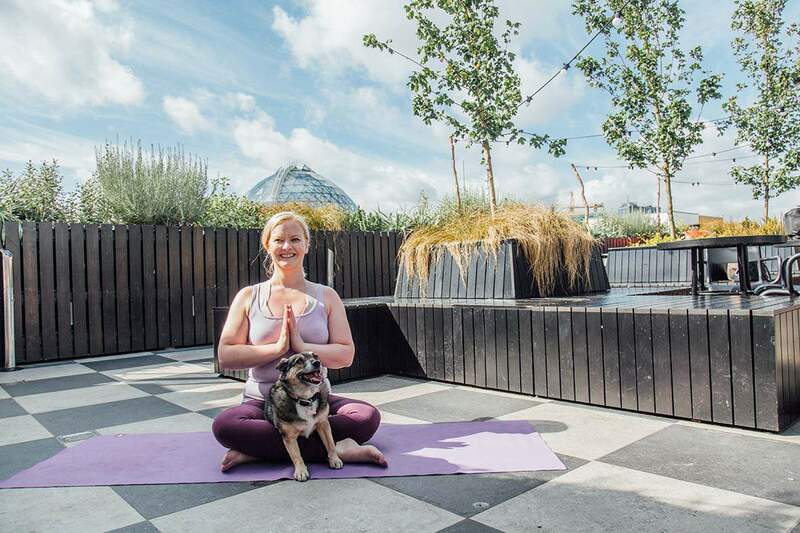 Bullitt Hotel is inviting guests to bring their four-legged friends along to their stylish rooftop bar and garden, Babel, for a special type of yoga practice, which promises to leave both owner and pooch in a zen-like state! The ‘doga’ class is set to be the first to take place in the city of Belfast! 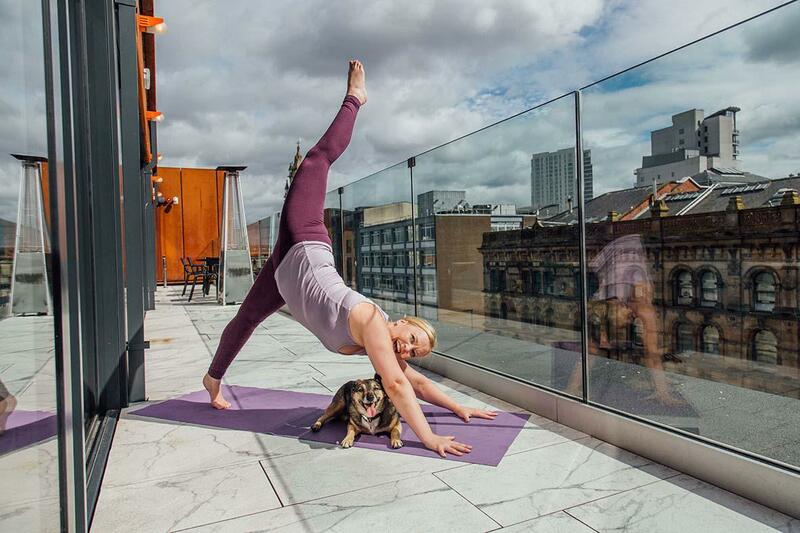 Doga at Babel Rooftop Bar takes place on Sunday 12th August 2018 and the session will last for just over an hour and comprise of various meditation, breathing, stretching and gentle massage techniques, helping guests and their dogs to relax while spending quality time together. Doga practice commences at 10.15am until 11.30am. Guests are advised to arrive 15 minutes prior to the class starting to be introduced to some of the Doga practices and to allow time for the dogs to settle. Homemade dog treats and water will be provided. PLEASE NOTE: Doga is for small dogs under 12kg. You must bring own yoga mat and dog blanket. Tracy Stuart is the yoga instructor behind the doga practice. A qualified solicitor, Tracy has taught yoga for over eleven years in various locations including the Maitri Studio, Belfast. She is also a mindfulness practitioner who has facilitated groups in using mindfulness techniques for substances misusers. To book online or find out more, visit bullitthotel.com, email info@bullitthotel.com or follow Bullitt Hotel on Facebook, Instagram or Twitter @BullittBelfast.